Princess Bianca of Pacifico has never left her castle. Ever since her birth in which she lost her mother, her father has been obsessed with her safety. Always worried she may fall ill, become injured, give herself a fright, Bianca was closed off from the world around her. Her schooling through carefully vetted tutors and sneaking through the castle eavesdropping were her only means of learning about the outside world. Upon discovering that her father and his knights were leaving the castle in search of a dangerous dragon terrorizing the countryside, Bianca's interest in the outside world peaks ten fold. After three long weeks, when the hunting party still has not returned, Bianca takes matters into her own hands, stealing away to search for her father and deal with the dragon herself. Can Bianca survive out in the world by herself and put an end to the dragon drama once and for all? What a lovely read! Geared towards a more 5th-7th grade reading level I found this one lots of fun! I especially loved what a strong and courageous character Princess Bianca was, #girlpower! I love books with strong female characters and think they are so important especially for the younger readers. So many great underlying themes dispersed throughout the book; courage, defying stereotypes, being open minded, kindness, breaking out of gender norms. I would definitely recommend this one to read with your kids, boys and girls alike. There was tons of adventure to keep any overactive imagination occupied. 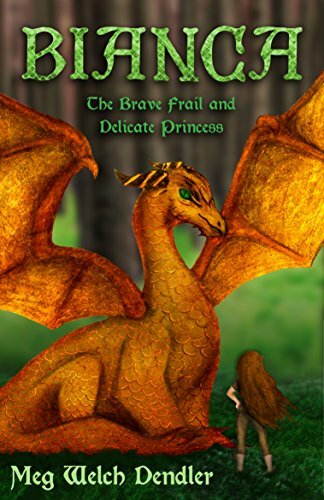 The author has really opened up an endless world of adventures for Princess Bianca and I look forward to reading more of her work in the future! What other books have you read that made you cheer GIRL POWER! Share them in the comments!